Those who partner CMI-UNEP' ICNP 2008 - 12, are entitled for this Logo. Live in a simple, plain, well functional, climate-friendly green apsartment; which at the same time offers you optimum comfort and carbon credits. state-of-art, new building materials, building engineering and science- for which we have to apply your mind more to spend less and earn more in terms of carbon revenue. The Conference, to be hosted by the Government of Denmark, brings together representatives of over 180 countries together with observers from inter- governmental and non- governmental organizations, and the media. Do you know India is the largest e-waste recycler in the world. About 85% of the e-waste gets totally recycled here, providing basic employment to 4 million workers. These days, entire e-waste of the world have started flowing to India; not just creating livlihood opportunity for the poor but also creating largest carbon revenue market for the e-waste recycling opportunity for its investors. Do you wish to invest in the sector and earn CERs ? Different perspectives from 3 stakeholders. 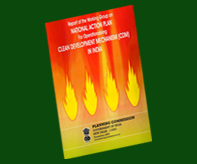 CMI has joined hand with UNEP in it's most popular live and action-oriented plantation programme, for massive CO2e Sequestration in Sink Sector Initiative - " Plant for the Planet: Billion Tree Campaign" and pledged to plant topical, indigenous and local tress through out the country - under it's " India Climate Neutral Programme (ICNP) 2008-30 ".The programme was launched in association with Times Foundation on the World Environment Day, June 5, 2008 at the UN lawns at 55, Lodhi Estate, New Delhi. Dr. R. A. Mashelkar is the former Director General of Council of Scientific and Industrial Research (CSIR), who have been elected as Fellow of Royal Society (FRS), London, US National Academy of Science, US National Academy of Engineering, Third World Academy of Engineering, U.K., and World Academy of Art & Science, USA. 20 Universities have honoured him with honorary Doctorates, which include the Universities of London, Salford, Pretoria, Wisconsin, and Delhi. Dr. Mashelkar was honoured with Padmashri (1991) and Padmabhushan (2000) two of the highest Civilian Honours in recognition of his contribution to nation building. Recently he joined the Reliance Board of Directors, who lives in Pune. Carbon Minus India (CMI) feels proud of Dr R. A. Mashelkar, as it’s Chief-Parton and repose confidence to climb the ladder successfully to achieve credible milestones under his dynamic partonage. your carbon generation in your daily life." Congrats to your Leadership for mainstreaming Climate Change through IPCC ! Nobel Peace Award Long live! 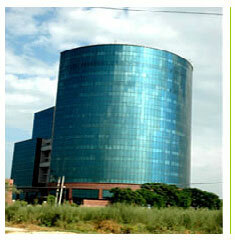 Dirctor General, TERI, New Delhi. 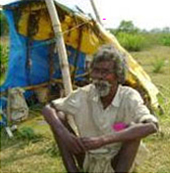 Poorest of the poor are the most vulnerable to climate change. Can we think about them ?...Can we really do something for them ? Many poor Farmer, Fishermen in India, loosing their Livelihood because of rapid crop failures, reduction in agricultural productivity and diminishing fishing stock, because of Climate Change. 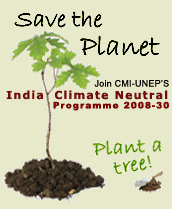 Carbon Minus India (CMI) is a UNEP partner with Clean Up the World, Australia.